Naturally, the most telling test for any new Depeche Mode album is to hold it up to the classics, as Violator will always stand alone as a hallmark of their achievements. However, as always, there are some interesting comparisons to be made, which showcase the band’s evolution quite nicely. Both “Welcome To My World” and “Heaven” have a “Devotional”-era vibe to it with its pseudo-spiritual leanings and Martin Gore’s dirty blues licks on the latter. I was pleased to hear more “real” instruments on some of the tracks, and to hear Martin stepping outside of his comfort zone as a guitarist. “Heaven” is also one of Dave Gahan’s braver ventures as a vocalist; the harmonies are beautiful and the sparseness is refreshing. As a first choice for their newest single, this was a bold move, given its slow, dreamy pace. It also brings to mind the grit of 2005’s Playing The Angel with the same retro synth sounds as 2009’s Sounds Of The Universe. The track following it, “Secret To The End,” has some catchy synth programming and sounds like the quintessential Depeche Mode as we know them today. I also enjoyed the minimal trance elements of “My Little Universe;” it’s evident to me that Martin Gore has been doing his electronic music homework as well as his guitar practice, and it makes for a winning combination. “Slow” is an unexpected little groove, because again, we have Martin venturing into blues guitar territory for the first time since “Personal Jesus” and during the neo-grunge leap of faith that was “Songs Of Faith And Devotion.” However, this is the point on the album where we start to realize the most critical difference between Depeche Mode’s sound now, versus the layered intricacies of their early work. In my opinion, as someone who has carefully analyzed this band’s discography and kept them on heavy rotation since adolescence, it simply lacks the production value and the attention to detail that only Alan Wilder and Flood could ever have brought to the band. And yet, given that Mr. Wilder will not be returning to the band (sorry, guys…), I’ve chosen to focus instead on how interesting it is to hear such a strong blues and traditional music influence on this album and to hear Dave Gahan really singing. Martin Gore’s blues chops pop up again in “Goodbye,” a catchy anthem of sorts where both Gore and Gahan really shine. Toward the end, “Happens All The Time” caught my attention as well for its trip-hop influence. While I couldn’t help but feel a little bit disappointed by the album in its inconsistency, Delta Machine unites many different genres in a way that’s strangely compelling. Overall, I think this album will age the way Ultra did for many fans; you might brush it off at first, but you’ll put it on years later and go, “This is really cool!” Despite feeling, at times, a little hasty and undeveloped in its production value, it definitely showcases the band taking a risk and branching out a little bit for the first time in over a decade. If you’re willing to forgive the weaknesses of some songs, you’ll realize that there’s still some very strong material here, which essentially overshadows the rest, it just takes a few listens. 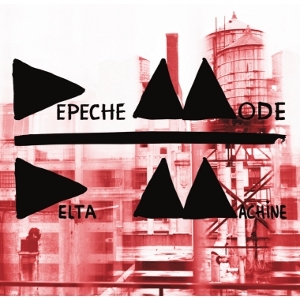 Better yet, it seems inevitable that the songs on this album will make for a fantastic live performance, which you can look forward to in September when Depeche Mode plays the Barclays Center in Brooklyn on the 6th and Jones Beach on the 8th.